Norwegians have used cod liver oil for its nourishing and healing benefits for centuries. 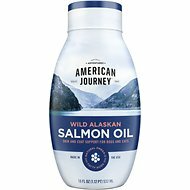 It is an ideal source of the omega-3 fatty acids EPA and DHA. Nordic Naturals Pet Cod Liver Oil Dog Supplement is made from wild arctic cod from Norway and contains higher levels of DHA, the omega-3 most associated with brain and eye development and puppy trainability. Use within 3 months after opening. Refrigerate once opened. Cod Liver Oil (Source of Vitamins A and D), Mixed Tocopherols (a Preservative). My dog skin was extremely dry and his fur was dull. After just a week his fur is beginning to look shiny. My other dog is almost 15 and suffers from severe arthritis and I am hoping that the cod liver oil will help her condition; however, it is too soon to tell. Another plus for this product is that there is no apparent fishy odor. While this product may be of high quality, opening it up every time to dispense causes the product to be exposed to oxygen which can cause it to become rancid very fast. 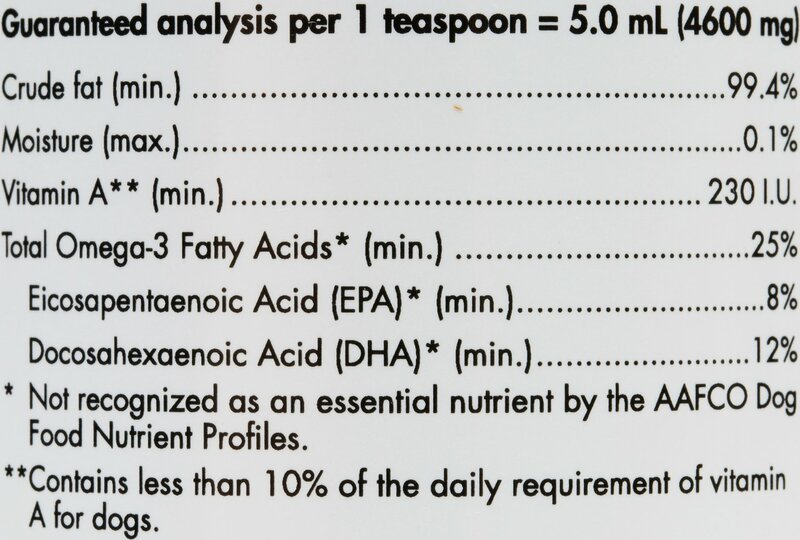 Nordic Naturals needs to provide a pump for this product to use it as it was intended. This was recommended as an additive to meals to control subacuous cysts. Dog has large one on tail that I teat with tea tree oil but so far no others have appeared. Not only does it work on my dog's hot spots, she loves to eat it with her food. I'm very, very happy and now she will not be ripping up her coat. My dogs will not eat their food with this product on it. Dogs will not touch it. I was hoping that this would help their itching. They have to eat it to help. I thought that after I read the reviews that it would work. 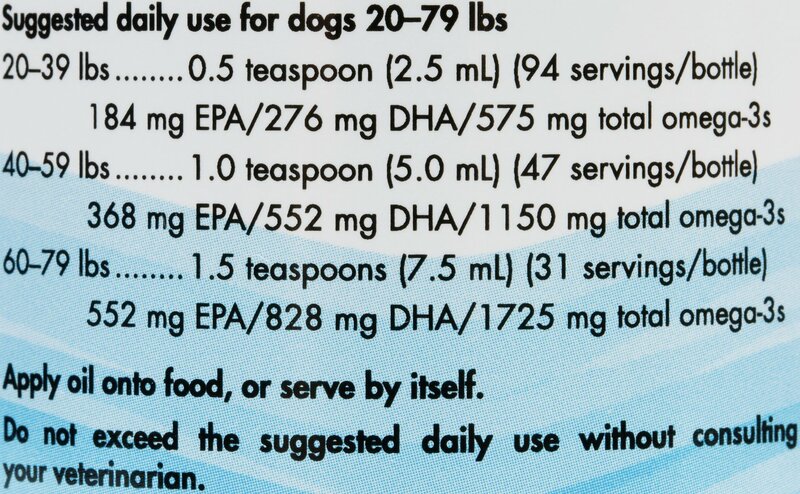 My 10 year old male Aussie is on a home cooked diet with added supplements as prescribed by his vet. One of the elements is this cod liver oil. He needs it daily and I can find it here cheaper, and its delivered fast. Helps older Dogs with sight issues. Keeps dog coats healthy. Using this in combo w glucosamine to help dog with patellar luxation. I like that dog has no problem taking it. I got this for my blue pit bull because he gets really dry skin during the winter. He would scratch himself bloody so someone told me about cod liver oil so I tried it and have been using it for about two weeks and it seems to be helping him. This is the first time we have tried adding cod liver to the dry food diet. They love it!!! Not sure what the results should be this early after trying it. But they love it.